Manhattan-Beach Based Residential Architect- 5X Best of Houzz! Peters Architecture is a collaborative design firm providing uniquely crafted solutions to our clients one at a time. We believe that the basis of any project begins with the cohesion of people, continues with the exchange of ideas, and ends with enduring relationships. Firmly rooted with client and architect, this collaboration may likely include landscape designers, interior designers, engineers, builders, local community members, and jurisdictions to name a few. Our practice combines the discipline of professionalism while maintaining a very human approach. We utilize leadership, clear communication, team building, environmental awareness, current technology, continuing education, and diligent follow-through to achieve and surpass expectations. A deep appreciation of the built and natural environment forms the underlay of all endeavors at Peters Architecture. Based on a firm understanding of site and the multiple layers of influence around it, from its history to its growth, from its surroundings to its soil - we strive to find a harmonious balance between our projects and the world around them. AAHA Studio (formerly HH Design) is a concierge style, full-service, family run Architecture and Interior Design Studio who works hand in hand with clients to deliver their dreams. Lets Design Your Dream ______________. We approach each and every project with professionalism, personality and creativity that bridges functional solutions with luxurious aesthetics. With our clients' vision at the forefront of every project, our studio is committed to collaboratively designing solutions which are unique, inspiring and responsive to the way we live, work and play. Beach Cities Architect & Designer 11X Best of Houzz Winner! As a registered California architect with a Master's Degree in architecture, David combines his East coast education and work experience with his many years of practice in Los Angeles to create a truly unique architectural office. David's passion for building houses sparked at a young age. He learned hands-on, valuable lessons working as a carpenter during his formative years in suburban Washington D.C. These early "field" experiences continue to inform and inspire David today when working through design issues that require a pragmatic, rational solution. Philanthropically, David is a member of the Habitat for Humanity Community Engagement Team and he frequently speaks to community groups and organizations about Habitat's mission to build safe, decent and affordable housing for hard-working families and individuals in need. David resides here in Manhattan Beach and his kids attend both Mira Costa and MBMS. Pritzkat & Johnson Architects specialize in custom residential Architecture, designing distinguished homes that combine a high level of artistry and functionality while realizing our clients’ dreams and often exceeding their expectations. We accomplish this through thoughtful listening, realistic project budgeting and the artful application of creative ideas. OUR STYLE Architectural styles, like clothing, cars or music vary by the individual. No style is “right” or “wrong” as long as the finished design follows the language of Architecture. Many of our clients have an image in their mind of what they see for their dream home. Our role is to interpret that image so that it has the best possible architectural look. MILES E. PRITZKAT, ARCHITECT & PRINCIPAL Miles uses his artistic and technical experience to find creative and aesthetic design solutions based on the needs of each project. A third generation southern California native, Miles developed his interest in architecture through frequent family trips to regional landmarks and historic sites, and a love of motion picture design. Miles strives for designs that make life easier, richer and more enjoyable. KEITH B. JOHNSON, ARCHITECT & PRINCIPAL Keith possesses broad experience in design and construction and is an expert in project delivery. Always adhering to the mantra form follows function, Keith was first intrigued by architecture when studying the scale, massing and structural design of his native Chicago’s famous skyscrapers. Los Angeles Premier Architecture Firm | Best of Houzz! I am a professional renovator (house flipper) in Southern California. I also love to remodel my own house! Carolina Stone runs an architectural design firm based in Venice, California, since 1999. Specializing in residential design and commercial projects, we design our projects with a main focus on meeting the individual needs and aspirations of every client. Our second focus is on preserving the environment, reducing greenhouse gases, and using green materials in our buildings. Our projects range from large multi-family residences to small kitchen and bath remodels. Carolina Stone, the owner and CEO of the firm, has a South American background, where she started her studies, and continued to acquire her degree at SCI-ARC here in California. She has worked on projects in Bilbao, Spain, Mexico, Canada, Panama and the United States. A design studio dedicated to providing compelling, contemporary designs in wide-ranging styles, all existing to provide spiritually uplifting spaces in the context of supremely functional layouts and sustainable use of the planet's resources. Garth Sheriff, AIA, NCARB is the founder and principal of Sheriff Architecture Studio, the renowned Los Angeles design firm which has provided over 800 designs to a wide ranging national clientele over it’s 39-year history. Throughout his architectural career, Mr. Sheriff has provided innovative design concepts that have influenced design trends in residential, retail, and commercial arenas. His well-respected Design for Success retail strategy has attracted such clients as Cartier Jewelers and IBM Product Centers; restaurants such as The Breadwinner, Jodi Maroni’s and The Iron Chef Live; and numerous other corporations such as Fidelity Equities, Wyatt Corporation, SBS, and The McDonald Group. Established in 2009, amk STUDIO is a full service architecture and planning firm that was formed with the goal of providing high quality design solutions and services to a growing list of referred and repeat clients and consultants. Our founding partners alone have over 40 years of collective experience in the building industry. Together with our associates, we have designed and managed award winning residential, hospitality, and mixed-use projects across California, the Western United States, and abroad. With staff located in Los Angeles and Orange County, amk STUDIO is committed to producing designs with integrity, environmental sensitivity, and quality. I dream of solving peoples problems, with the built environment, by creating spaces where there were none before. I engage with cities, government agencies, contractors, and engineers to build what you want, so you don't have to. Let me help take care of your project from start to finish! How do I find the best Redondo Beach architect for my home design project? It is best to hire a home architect who will be involved in all phases of the design process, from the initial concept to the completed construction. The architect is often the first person you will hire for your project. If necessary, they might also help you select and hire California subcontractors, which can include the builders, engineers and landscaper. Interior architects are also involved in negotiating contracts for all involved participants. It is for these reasons that it is extremely important for you to have a good relationship with the Redondo Beach residential architect you hire. He or she can be the tie-breaking vote between you and the general contractor and can be your biggest advocate during the construction process. Different architecture firms in Redondo Beach, CA provide different services, so the scope of the work can span from pre-design environmental impact studies to selecting furniture and finishes, depending on what your specific needs are. It is very important to hire the right professional for the job. Remember that the most well-known or established designer might not provide the best architectural services for your needs. It all comes down to the individual project. Research and ask people whose work you like for recommendations. It's important to have somewhat of an idea of the style of house architecture that you prefer, as well as the amount you would like to spend. 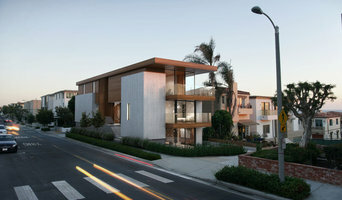 Residential architects in Redondo Beach, CA are natural problem solvers. They will assess the entire situation and help you to solve your problems too. Don't settle for a single company too early. Call and interview a few. Make sure that you feel like your personalities will mesh well and that you like their professional perspective. Find a home architect in Redondo Beach, CA on Houzz. Narrow your search in the Professionals section of the website to Redondo Beach architects. You may also look through photos of California projects to find interior architects and building designers who have worked on a project similar to yours.